The humble shoehorn – MostlyAboutBeer…….. The post I had envisaged writing has been ruined by research. This often happens. 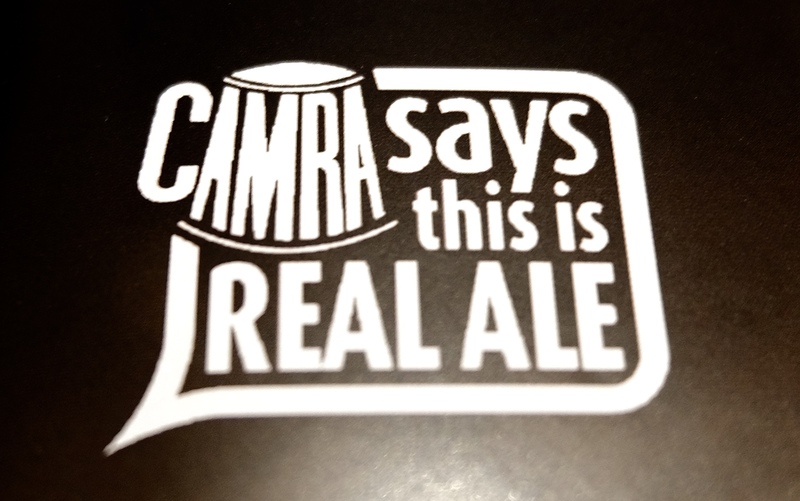 I was planning to chart the change in cask ale at a CAMRA beer festival over the last five years. I suspected – and it’s hardly controversial – that tastes were drifting away from the bitters and golden ales to the IPAs, porters, black IPAs, rye ales and fruit sours. In a way, that assumption has been borne out but not in the way I’d anticipated; the results are wearing camouflage. 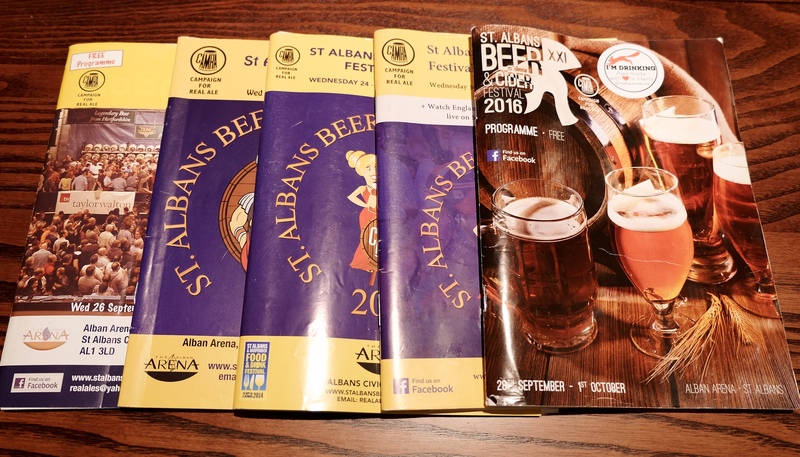 The only beer festival I’ve been to each time in the past five years is the St Albans Beer and Cider Festival thrown each summer in the Alban Arena. Not only have I visited and volunteered, but retained each year’s brochure with the beer lists. Over the course of the lustrum (five years to you and me), this literature is what I’m basing my findings on. It won’t be 100% accurate because as each festival’s set up, some beers never arrive, some don’t get drunk because of cask or ale defects whilst others are substituted at the last minute. Notwithstanding all that, I’m taking the lists at face value. First I counted the overall cask tally and then the amount of each style within it. The amount of golden ales has increased and then dropped. The peak was 140 in 2014 (out of a total of 348) and has come down to a low of 75 out of a list of 337 in 2016. Other traditional styles – the stouts, porters, milds and barley wines have stayed within similar margins each summer. From 2012, the bitters make up just under half but that proportion obviously dropped right? Except it didn’t. It went up. This year, over 50% (180 out of 337) of the beers on offer were bitters. This didn’t seem right. I then scrutinised the bitters a bit more carefully. Unlike the GBBF, the festival at St Albans hasn’t included the increasingly popular IPA in its categories. By extension, it hasn’t confirmed black IPAs , American IPAs or DIPAs in its flock either. Amazingly, all these developing styles have instead been shoe horned into the bitter or golden ale category. Here’s a small sample of some of the “bitters”: Dark Star Green Hop IPA, Red Squirrel Double American IPA, Thornbridge Jaipur and Siren Craft Brew Liquid Mistress. And a similar taster of some of the golden ales: William Brothers Joker IPA, Deuchars IPA, JO C’s Knot Just Another IPA and Oakham Ales Green Devil. Granted they’re all golden in colour but beer isn’t a paint chart but a sensory experience. Stout, porter and mild all get their own colour tag yet they’re often difficult to distinguish. It’s hard to get a Rizla rolling paper between the first two. There were just twelve milds at this year’s festival (including Timothy Taylor’s Golden Best – this, I think, was just an honest publishing error). There were in the region of 27 beers that self-identify as IPAs or could be included in the broad definition. There were also a number of self-proclaimed black IPAs or black india ales including the beer advertised on the staff festival T shirt – Farr Brew’s Blacklisted India Black Ale. Yet they’re all bitters or golden ales according to South Herts CAMRA! This year even saw the entry of some barrel-aged beers, Saison and fruit sours – all on cask. Each was duly baptised as a bitter or golden ale. A locally brewed bottle beer – AleCraft’s Sonoma Double IPA weighing in at 8% – has during the course of the lustrum been both bitter and golden ale. It’s never been able to “come out” as what it really is to the family. Firstly, this categorisation reflects beer styles as they used to be to the point that the monikers mean absolutely nothing if they encompass all of the above under the same umbrella. Bitter and golden ale have basically come to mean anything that can’t be lumped under other headings. Secondly, punters coming to the festival to learn a bit about beer styles might end up leaving more confused than they arrived. A golden ale could’ve been the sweet honeysuckle of Tring Brewery’s Fanny Ebb’s Summer Ale or alternatively it could be Oakham Ale’s aggressive Green Devil – a visceral grapefruit flesh nectar on steroids. Sampling bitters might have thrown up Dark Star’s Green Hop IPA or Windsor & Eton’s Conqueror – their black IPA. These are nothing like the more textbook Boltmaker or Sussex Best. It’s time to revise the evolving topography in the field of beer categories. The GBBF does list IPA (how can it not?) but this is only one category more than its smaller cousin in South Hertfordshire. In reality, the craft of brewing, the technology used and the wider range of ingredients are shaping beer’s future. The old chalk-scrawled categories on the casks are becoming obsolete.